Ravi Kumar successfully climbed the 8,848 meters tall Mount Everest at 1:28 pm yesterday, the Himalayan Times reported. Ravi Kumar and the climbing guide got separated during the descent, the official said. Kathmandu: An Indian climber has gone missing on Mount Everest after successfully scaling the world's highest peak, officials in Nepal said. 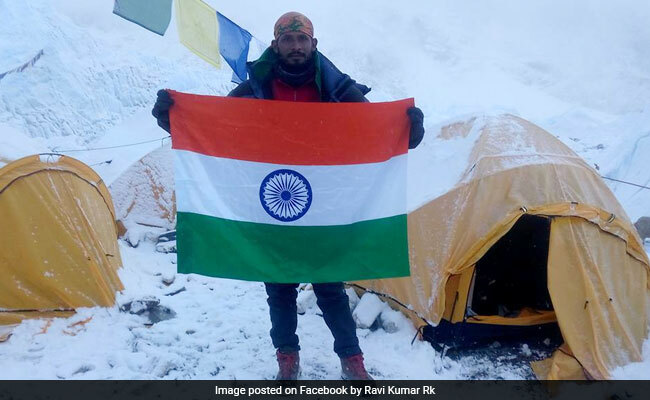 Ravi Kumar, a climber from Moradabad of Uttar Pradesh, had gone out of contact with the balcony area, the final resting spot before climbers ascend the south summit of the mountain, after he was descending to lower camps. Chhewang Sherpa, Managing Director at Arun Treks, said Mr Kumar successfully climbed the 8,848 meters tall Mount Everest at 1:28 pm yesterday, the Himalayan Times reported. His climbing guide Lakpa Wongya Sherpa has also been found unconscious after suffering from frostbite at Camp IV, Sherpa said. Mr Kumar and the climbing guide got separated during the descent, the official said. "Efforts are underway to conduct a search for the missing climber," Mr Sherpa added.